Whether you have to dress professionally for your career or just enjoy a nice polished look, there is no reason your outfit can’t showcase a bit of personality as well. In fact, some of our favorite outfits include ones with a sleek and sophisticated aesthetic balanced with unexpected flavor. Despite this, the struggle is exceedingly real for many women in need of work outfits – that don’t include massive shoulder pads or that seemingly come manufactured to kill your spirit. We have scoured the interweb and have dedicated this post to showcasing some outfit inspiration paired alongside our interpretation with Beckett pieces. Call or E-mail to get outfit deets! Mix it up more by doing your trench in an interesting color, shown here in olive green. Pair with a sleek black jumpsuit or undertones. Warning – outfit comes with attitude. Your two wardrobe staples come together to create what can only be described as a killer combo. Really and truly this style has both grit and ease – watch out for our post focussing entirely on this soon! 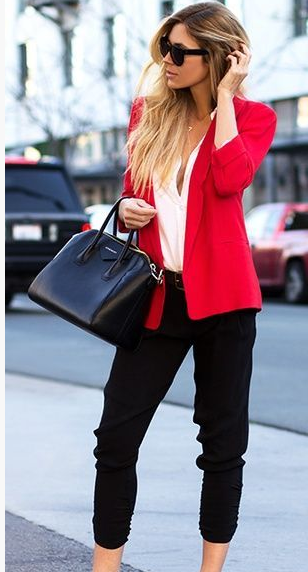 A bright colored blazer with a soft toned shirt and/or visa versa. This is sure to leave an impression with peers that you are both interesting and good at all things. 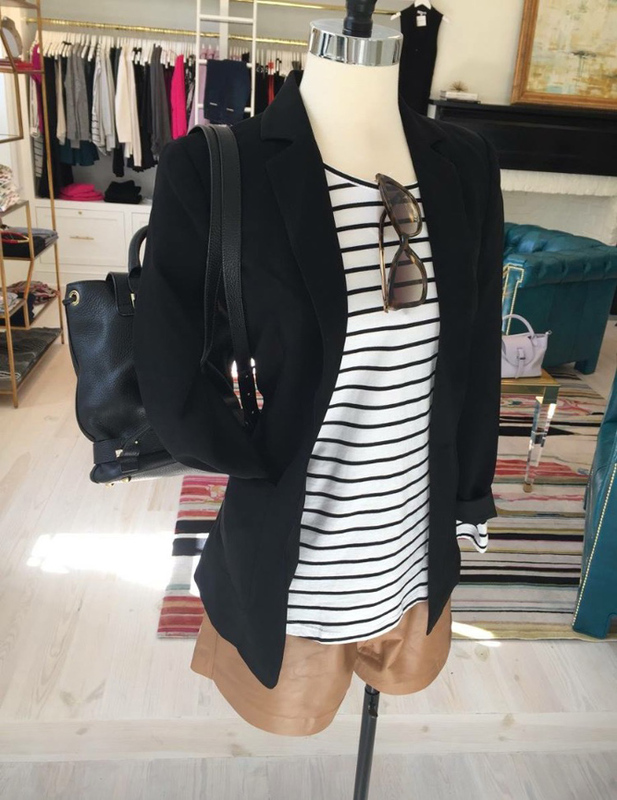 Your everyday blazer with a pop of pattern – stripes are always a win and easily found.